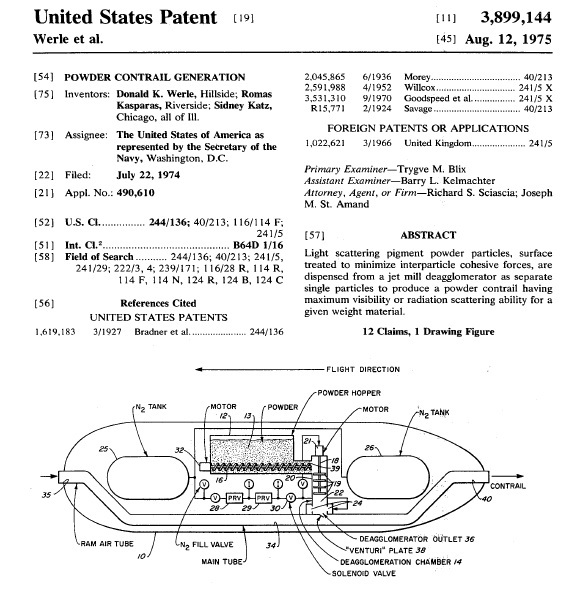 In the late 1960s Monsanto supported the secret Muad’ Dib Geoengineering Lab to develop“chemtrail” technology; their crown jewel program to protect earth from global warming via weather control. Sounds so humanitarian, right? Wrong! 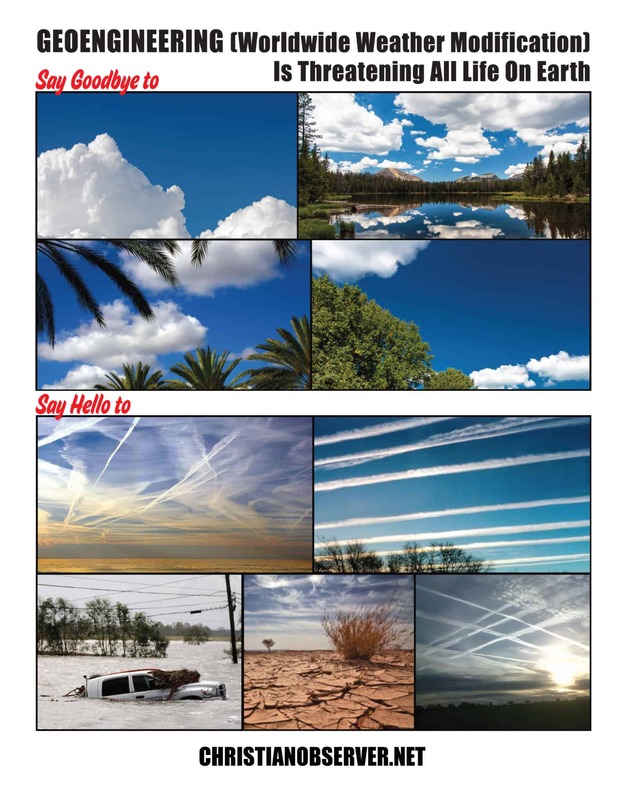 Chemtrails are geo-engineered aerosols that are loaded with toxic chemicals, including but not limited to: barium, strontium 90, aluminum, cadmium, zinc, viruses and “chaff.” Chaff looks like snow but it’s actually Mylar fibers (like in fiberglass) coated with aluminum, desiccated blood cells, plastic, and paper.5 Polymer chemist Dr. R. Michael Castle has studied atmospheric polymers for years, and he has identified microscopic polymers comprised of genetically-engineered fungal forms mutated with viruses, which are now part of the air we breathe. In California’s Mount Shasta region, Francis Mangel, a USDA Wildlife Biologist and water specialist has reported elevated levels of aluminum, barium, and strontium in the mountain’s snow, polluting drinking water, rivers and soil in the area. 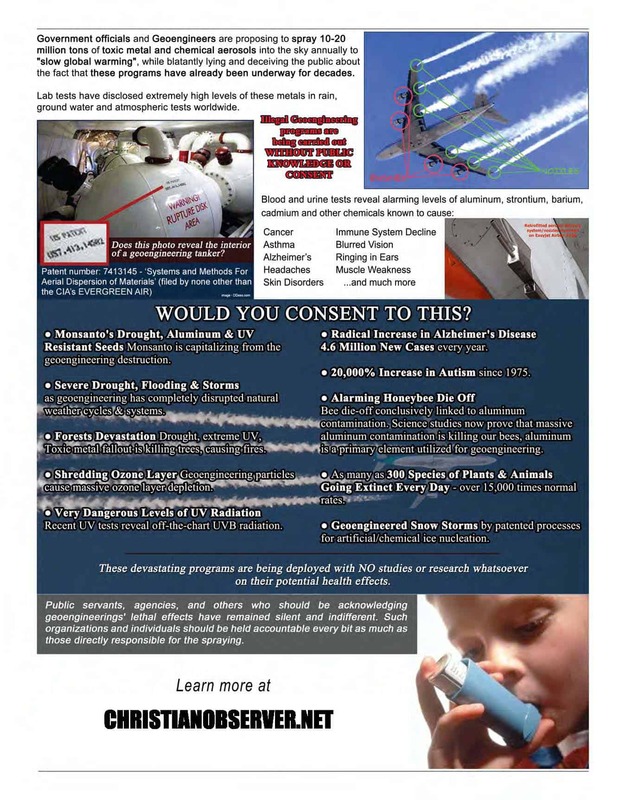 In 2008, samples around California’s Lake Shasta and the Pit River Arm tributary were tested in a State Certified Lab following weeks of fly-overs and chemtrails. The results of the water samples showed 4,610,000 parts per million of aluminum. This is 4610 times the maximum contaminant level! 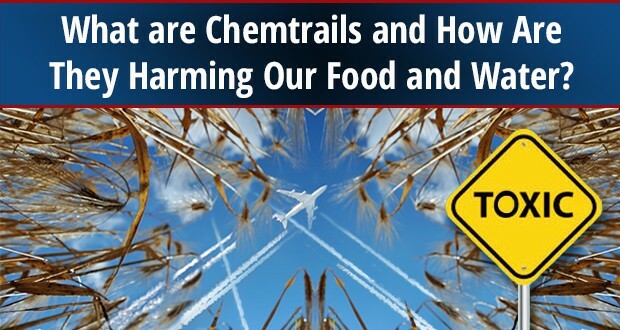 With aluminum toxicity levels off the charts, chemtrails are putting our life systems at risk of irreparable damage. 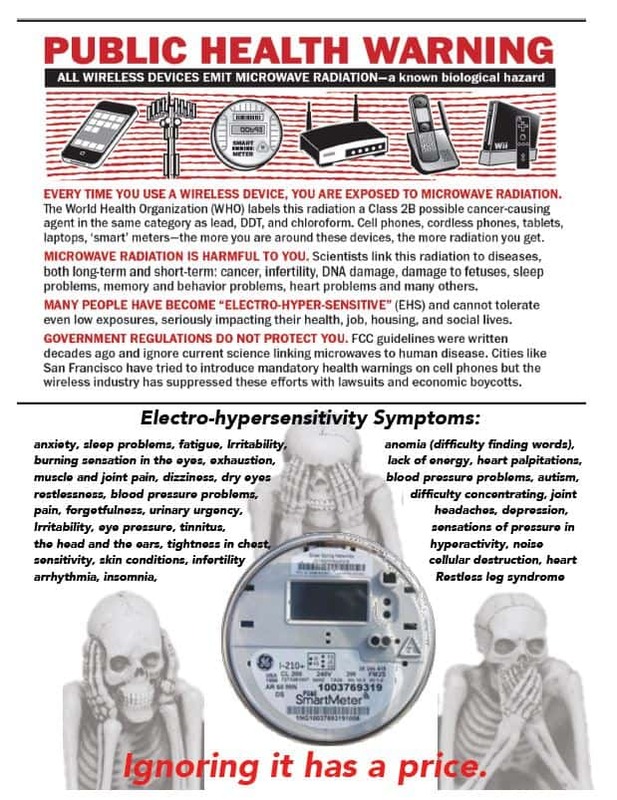 In addition, aluminum toxicity generates a number of neurological disorders and brain cancer, while radium and zinc cadmium sulfide synergistically cause bone cancer. A concerning new study published in the Journal of Inorganic Biochemistry demonstrates that exposure to aluminum can increase migratory and invasive properties of human breast cancer cells, while a 2012 article in the Journal of Applied Toxicology shows that aluminium promotes growth in human mammary epithelial cells. And “aluminum production” has been classified as carcinogenic to humans by the International Agency for Research on Cancer (IARC).